We investigated whether therapy with the entire daily dose of ≥1 hypertension medications at bedtime exerts greater reduction in the risk of new-onset diabetes than therapy with all medications upon awakening. We conducted a prospective, randomised, open-label, blinded endpoint trial of 2,012 hypertensive patients without diabetes, 976 men and 1,036 women, 52.7 ± 13.6 years of age. Patients were randomised, using a computer-generated allocation table, to ingest all their prescribed hypertension medications upon awakening or the entire daily dose of ≥1 of them at bedtime. Investigators blinded to the hypertension treatment scheme of the patients assessed the development of new-onset diabetes. During a 5.9-year median follow-up, 171 participants developed type 2 diabetes. Patients of the bedtime, compared with the morning-treatment group, showed: (1) significantly lower asleep BP mean, greater sleep-time relative BP decline and attenuated prevalence of non-dipping at the final evaluation (32% vs 52%, p < 0.001); and (2) significantly lower HR of new-onset diabetes after adjustment for the significant influential characteristics of fasting glucose, waist circumference, asleep systolic BP mean, dipping classification and chronic kidney disease (CKD) (unadjusted HR 0.41 [95% CI 0.29, 0.58]; adjusted HR 0.43 [0.31, 0.61]; event-rate 4.8% vs 12.1% with bedtime and morning treatment, respectively; p < 0.001). Greater benefit was observed for bedtime compared with awakening treatment with angiotensin receptor blockers (ARBs) (HR 0.39 [0.22, 0.69]; p < 0.001), ACE inhibitors (0.31 [0.12, 0.79], p = 0.015) and β-blockers (0.35 [0.14, 0.85], p = 0.021). In hypertensive patients without diabetes, ingestion of ≥1 BP-lowering medications at bedtime, mainly those modulating or blocking the effects of angiotensin II, compared with ingestion of all such medications upon awakening, results in improved ambulatory BP (ABP) control (significant further decrease of asleep BP) and reduced risk of new-onset diabetes. Funding: This independent investigator-promoted research was supported by unrestricted grants from Ministerio de Ciencia e Innovación (SAF2006-6254-FEDER; SAF2009-7028-FEDER); Xunta de Galicia (PGIDIT03-PXIB-32201PR; INCITE07-PXI-322003ES; INCITE08-E1R-322063ES; INCITE09-E2R-322099ES; 09CSA018322PR); and Vicerrectorado de Investigación, University of Vigo. An erratum to this article can be found at http://dx.doi.org/10.1007/s00125-015-3806-2. Hypertension commonly occurs in conjunction with insulin resistance. Activation of the renin–angiotensin–aldosterone system (RAAS) and consequent elevations of angiotensin II and aldosterone contributes to increased hepatic glucose release and decreased insulin sensitivity . Moreover, hyperglycaemia also increases serum aldosterone levels. Accordingly, in addition to BP-lowering, RAAS blockade might also serve as an effective strategy to control impaired glucose and insulin tolerance. Indeed, several large-scale clinical trials reviewed elsewhere [2, 3] have suggested ingestion of angiotensin receptor blockers (ARBs) or ACE inhibitors (ACEIs) might reduce the incidence of new-onset diabetes in hypertensive patients. In the Heart Outcomes Prevention Evaluation (HOPE) trial, add-on bedtime ACEI ramipril therapy, relative to placebo, not only significantly reduced the primary outcome variables of cardiovascular disease (CVD) death, myocardial infarction and stroke , but also the risk of new-onset diabetes by 34% . However, the Diabetes Reduction Assessment with Ramipril and Rosiglitazone Medication (DREAM) trial, in which participants were also randomised to ramipril vs placebo but without a mandatory treatment-time indication, did not corroborate the benefit of ramipril for new-onset diabetes prevention . Regarding time-of-day of hypertension treatment, multiple clinical trials extensively reviewed elsewhere [7, 8] have detected prominent morning–evening, treatment-time differences in BP-lowering efficacy, duration of action, safety profile and/or effects upon the 24 h ambulatory BP (ABP) pattern of different classes of hypertension medications and their combinations. In particular, since the RAAS is highly circadian rhythmic and activates during night-time sleep , the once-daily bedtime, in comparison with upon-awakening, ingestion schedule of ARBs and ACEIs results in greater therapeutic effect on asleep BP mean determined by ABP monitoring (ABPM), independent of terminal half-life [7, 8, 10]. This is the case, also, for the bedtime vs morning regimen of the ARB-calcium channel blocker (CCB), ACEI-CCB and ARB-diuretic combinations so far tested [7, 8]. The impact of hypertension treatment-time on asleep BP regulation might be clinically relevant based on the findings of numerous independent prospective studies that demonstrate elevated sleep-time BP constitutes a significant CVD risk factor that is independent of daytime clinic BP and the ABPM-derived awake or 24 h BP means, both in patients without [11, 12, 13, 14, 15, 16] and with diabetes [17, 18, 19]. Most important, sleep-time ABP, but not awake ABP or clinic BP, has also been identified as a highly significant prognostic marker of new-onset diabetes . Along these lines, the MAPEC study (Monitorización Ambulatoria para Predicción de Eventos Cardiovasculares, i.e., Ambulatory Blood Pressure Monitoring for Prediction of Cardiovascular Events), the first prospective randomised treatment-time investigation testing the worthiness of bedtime chronotherapy with ≥1 conventional hypertension medications to specifically target attenuation of asleep ABP, demonstrated, relative to conventional morning therapy, significantly better reduction of CVD risk , also in high-risk patients with diabetes , chronic kidney disease (CKD) , or resistant hypertension . The HR of CVD events was higher in patients randomised to treatment upon awakening, no matter the classes of BP-lowering medications prescribed. Moreover, among patients randomised to take ≥1 medications at bedtime, ARB therapy was associated with significantly lower CVD risk than any other class of therapy . However, whether timed hypertension treatment also influences the risk of new-onset diabetes is unknown. These collective findings lead us to propose two hypotheses that have never before been prospectively investigated: (1) bedtime therapy with the entire daily dose of ≥1 hypertension medications offers better protection against development of new-onset diabetes than morning-time therapy with all medications; and (2) RAAS inhibition or blockade is superior to any other treatment strategy for achieving such. The MAPEC study, specifically designed to prospectively investigate whether bedtime compared with upon-awakening BP-lowering treatment results in reduced risk of CVD, new-onset diabetes and renal events, allowed us to test these hypotheses. Complete details of the rationale and design of the MAPEC study are described in previous publications [14, 15, 19, 21, 22, 23, 24]. In summary, the sample of the MAPEC study consisted of Spanish individuals ≥18 years of age who adhered to a routine of daytime activity and night-time sleep. Inclusion criteria required participants to be either normotensive, untreated hypertensive or resistant to treatment  when ingesting all their prescribed BP-lowering medications upon awakening. Exclusion criteria were pregnancy, drug/alcohol abuse history, night/shift-work employment, AIDS, type 1 diabetes, secondary hypertension, CVD disorders (unstable angina pectoris, heart failure, life-threatening arrhythmia, nephropathy and grade III–IV retinopathy), intolerance to ABPM, and inability to communicate and comply with all study requirements. This prospective single-centre study (ClinicalTrial.gov registration no. NCT00295542) was approved by the state Ethics Committee of Clinical Research. All participants gave written informed consent. Between 2000 and 2007, we recruited 3,612 persons fulfilling the inclusion/exclusion criteria, with 3,344 (1,718 men and 1,626 women, 52.6 ± 14.5 [mean ± SD] years of age) providing all required information for study. The remaining 268 individuals were excluded due to inadequate ABPM sampling at baseline and non-consent for additional ABPM evaluations. At the time of recruitment, 688 randomised hypertensive patients already had a diagnosis of type 2 diabetes and, therefore, were excluded from the analyses reported here. Among the remaining 2,656 participants, 644 were normotensive at baseline and, accordingly, were not participants in any aspect of the trial involving randomisation to a treatment-time for ingestion of hypertension medications. The final evaluated population for the hypotheses tested herein thus consisted of 2,012 hypertensive patients without diabetes—976 men and 1,036 women, 52.7 ± 13.6 years of age (Fig. 1). Hypertension in untreated participants was defined according to current ABPM criteria, i.e., awake systolic (SBP)/diastolic (DBP) BP mean ≥135/85 mmHg or asleep SBP/DBP mean ≥120/70 mmHg [27, 28]. New-onset diabetes was defined as fasting glucose ≥7.0 mmol/l on at least two clinical assessments ≥3 months apart ; none of the participants received any glucose-lowering treatment during the course of the study. CKD was defined as either an estimated GFR <60 ml min−1 1.73 m−2, albuminuria (urinary albumin excretion ≥30 mg/24 h urine), or both, on at least two occasions ≥3 months apart . GFR (ml min−1 1.73 m−2) was estimated by the CKD Epidemiology Collaboration (CKD-EPI) equation . Diagnosis of the metabolic syndrome was established by the National Cholesterol Education Program Adult Treatment Panel III revised definition . The MAPEC study was a prospective, randomised, open-label, blinded endpoint (PROBE) trial. A major goal of the study was to assess the effect of treatment-time regimen of prescribed BP-lowering medications on CVD, new-onset diabetes and CKD outcomes. Thus, patients were randomised either to ingest all BP-lowering medications upon awakening or the complete daily dose of ≥1 of them at bedtime and the remaining ones (if any) upon awakening. Assignment of participants to the two treatment-time regimens was done according to the order of recruitment, following an allocation table constructed by a computerised random-number generator. The study did not specify or require one unique investigational hypertension medication; rather, participating physicians were given the choice of prescribing, as first-line therapy in previously untreated patients, one medication of any of the recommended therapeutic classes . Randomisation of patients to treatment-time (awakening or bedtime) was done separately for each allowed initial individual hypertension monotherapy (valsartan, telmisartan, olmesartan, ramipril, spirapril, amlodipine, nifedipine GITS, nebivolol, torasemide, doxazosin GITS) to ensure the proportion of patients treated with each medication was similar across the morning- and bedtime-treatment arms. If based on ABPM threshold criteria, the ABP of a given patient remained uncontrolled at any time during follow-up (see below), additional medications could be added in keeping with current clinical practice. Participants with resistant hypertension were randomised either to: (1) modification of the nature of their treatment by exchanging one hypertension medication with a new one, and thus without alteration of the total number of medications, but retaining the upon-waking ingestion time for all of them (awakening treatment regimen); or (2) the same exchange of one medication with a new one, but prescribing its ingestion at bedtime instead of morning (bedtime-treatment regimen) [21, 24]. If, during follow-up, ABP remained uncontrolled, investigators were permitted to: (1) exchange additional hypertension medications for others of different classes (keeping always the upon-waking ingestion time schedule of all medications) in patients of the awakening treatment regimen group; (2) progressively shift additional hypertension medications (that were being ingested upon awakening) to bedtime in patients of the bedtime-treatment regimen group; or (3) prescribe additional BP-lowering medications in patients of either group. Changes in therapeutic scheme during follow-up in uncontrolled patients (those with ABP above the thresholds provided above) were always based on the results from periodic evaluation by ABPM. Adherence to the time-of-day (awakening or bedtime) schedule of treatment and prescribed medication(s) was enforced, although not measured, at each follow-up visit. Adverse events, including type, duration, seriousness, intensity and possible relation to hypertension treatment, were registered as spontaneously reported by the patient and/or detected by the investigators through non-directive questioning and physical examination. At inclusion and at every scheduled visit for ABPM during follow-up, the SBP and DBP of each participant were automatically measured every 20 min between 07:00 and 23:00 hours and every 30 min during the night for 48 consecutive hours with a calibrated SpaceLabs 90207 ABPM monitor (SpaceLabs, Issaquah, WA, USA). A 48 h, instead of the most common 24 h, monitoring span was chosen to improve reproducibility of results, as accurate calculation of ABP characteristics (including mean BP values) and dipping classification depends markedly on the duration of ABPM . Participants were instructed to adhere to their usual activities with minimal restrictions but to keep a similar activity–rest schedule and avoid daytime napping during the two consecutive days of ABPM. In keeping with current recommendations , BP series were considered invalid for analysis, and thus ABPM repeated within the same week, if ≥30% of the measurements were missing, if data were lacking for an interval of >2 h, if data were obtained when the rest–activity schedule was irregular during the 2 days of monitoring, or if the night-time sleep period was <6 h or >12 h.
Blood withdrawal from an antecubital vein was carried out in the clinic between 08:00 and 09:00 hours, after overnight fasting, the same week when each 48 h ABPM session was initiated. The patients collected their urine during the first 24 h of ABPM. Blood and urine samples were analysed using routine automatic techniques in the hospital laboratory. Just before commencing each 48 h ABPM session, the same investigator obtained six consecutive clinic BP measurements using a validated automatic oscillometric device (HEM-705IT, Omron Health Care, Vernon Hills, IL, USA) after the participant had rested in a seated position for ≥10 min. Participants underwent the same evaluation procedure described above, including conventional daytime clinic BP measurement, 48 h ABPM/wrist activity monitoring and blood/urine analysis, annually or more frequently (3 months after any investigator-ordered change in therapy to improve ABP control). Investigators blinded to the hypertension treatment scheme of the patients and not involved in clinic evaluations, ABP measurement and statistical analyses assessed the development of new-onset diabetes, as defined above, among other outcome variables of interest. Complete clinical records of all enrolled participants, including all periodic laboratory tests performed during follow-up, were reviewed at least annually plus the year following the last ABPM. ABPM profiles were edited according to conventional criteria to correct for measurement errors and outliers; SBP readings >250 or <70 mmHg, DBP >150 or <40 mmHg and pulse pressure (PP, SBP minus DBP) >150 or <20 mmHg were automatically discarded. The ‘48 h ABP mean’ was calculated as the average of all valid readings obtained throughout the 48 h assessment span. Awake and asleep ABP means were calculated from the 48 h monitoring as the average of all valid readings obtained during the hours of daytime activity or night-time sleep, respectively, as differentiated by wrist actigraphy. Sleep-time relative BP decline (index of BP dipping), defined as % decrease in mean BP during night-time sleep relative to mean BP during daytime activity, was calculated as: [(awake ABP mean − asleep ABP mean) / awake ABP mean] × 100, incorporating all the data sampled by 48 h ABPM. For comparative purposes, a patient was defined as dipper if the sleep-time relative SBP decline was ≥10%, and as non-dipper otherwise [27, 28]. Demographic and clinical characteristics were compared on an intention-to-treat basis among participants randomised to the two treatment-time regimens—(1) all hypertension medications ingested upon awakening or (2) the entire daily dose of ≥1 BP-lowering medications ingested at bedtime—by two-sided t test (continuous variables) or nonparametric χ2 test (proportions). The Cox proportional-hazard model, adjusted for significant confounding variables, was used to estimate HR, with 95% CI, for events associated with treatment-time regimen and class of hypertension medication. For survival analysis, follow-up was established as either the time to the confirmed diagnosis of diabetes or the time to the last clinical evaluation in non-event participants. Survival curves were generated using the Kaplan–Meier product-limit method and compared by the Mantel logrank test. Among the 2,012 participants, 1,029 were randomised to the morning and 983 to the bedtime-treatment regimen, with a median follow-up of 5.9 and 5.8 years, respectively. At baseline, the two groups were equivalent for the prevalence of the metabolic syndrome, obstructive sleep apnoea, anaemia, CKD and obesity, plus all evaluated anthropometric variables (Table 1). Clinic BP, average ABP values and prevalence of non-dipping at baseline were also equivalent between the two groups (Table 1). In keeping with the study design, there were no differences in the classes and number of hypertension medications used for therapy between the patients of the two treatment-time groups (Table 2). The proportion of patients in the morning and bedtime-therapy groups treated with statins (16.2% vs 15.3%, respectively; p = 0.551) or low-dose (100 mg/day) aspirin (10.5% vs 11.4%; p = 0.519) was also similar. The data of the last evaluation revealed significantly lower asleep SBP/DBP means in participants randomised to the bedtime- than morning-treatment regimen (p < 0.001; Table 2). The sleep-time relative SBP/DBP decline was significantly greater and, accordingly, the proportion of patients with the non-dipper BP pattern significantly lower, in the bedtime- than the morning-treatment regimen group (32% vs 52%; p < 0.001). The proportion of participants with properly controlled ABP, mainly during night-time sleep, was also significantly greater among those treated at bedtime (p < 0.001; Table 2). There were no treatment-time differences in the prevalence of patients reporting adverse effects (6.0% vs 6.3% for morning- and bedtime-treatment regimen, respectively; p = 0.569). Due to strict patient control by periodic ABPM during follow-up , only two and three patients in the morning- and bedtime-treatment groups, respectively, had sleep-time hypotension, as defined by current ABPM criteria , at their final evaluation; none of them developed new-onset diabetes. During the median follow-up period of 5.9 years (range 1.0–8.9 years), 171 participants developed type 2 diabetes. Patients ingesting ≥1 hypertension medications at bedtime showed a significantly lower HR of new-onset diabetes (adjusted by the only significant influential characteristics, among all variables listed in Table 1, of fasting glucose, waist circumference, asleep BP mean, dipping classification and CKD) than those ingesting all medications upon awakening (unadjusted HR 0.41 [95% CI 0.29, 0.58]; adjusted HR 0.43 [0.31, 0.61]; event-rate 4.8% vs 12.1% in the bedtime- and morning-treatment groups; p < 0.001). Independent of hypertension treatment-time, increased HR of new-onset diabetes was jointly associated with elevated fasting glucose (3.11 [2.43, 3.98], p < 0.001, per mmol/l); larger waist circumference (1.03 [1.02, 1.04], p < 0.001, per cm); greater asleep BP (1.12 [1.06, 1.17], p < 0.001 per 5 mmHg); non-dipping (1.45 [1.03, 2.05], p = 0.027, compared with dipper BP pattern); and presence of CKD (1.41 [1.02, 1.95], p = 0.039, compared with absence of CKD). Figure 2 presents the Kaplan–Meier survival curves for the patients of the two treatment-time groups, documenting the highly significant difference between treatment-time groups in new-onset diabetes event-free survival (logrank 28.0, p < 0.001). Figure 3a shows the HR of new-onset diabetes for participants of the morning-treatment regimen group categorised according to class of hypertension medication ingested upon awakening. Each category includes all patients ingesting that particular class of hypertension medication upon awakening, either alone or along with other classes of medications also ingested upon awakening. We used as the reference group patients ingesting an ARB, as this category had the lowest new-onset diabetes event-rate compared with all the other hypertension medications classes. The adjusted HR of new-onset diabetes was fully equivalent across all classes of medications when ingested in the morning. Figure 3b presents the adjusted HR of new-onset diabetes for participants of the bedtime-treatment regimen group. Each category includes patients who were ingesting the entire daily dose of that particular class of hypertension medication at bedtime, either alone or along with other hypertensive medications ingested as entire daily doses also at bedtime or upon awakening, in keeping with the design of the trial. Patients ingesting an ARB, ACEI or β-blocker (primarily nebivolol) at bedtime had significantly lower HR of new-onset diabetes than patients ingesting any other medication class also at bedtime (Fig. 3b). We additionally compared the risk of new-onset diabetes between patients of the two treatment-time regimen groups further categorised as a function of the class of hypertensive medication used for therapy. Figure 4 shows the HR of new-onset diabetes for participants ingesting any given class of hypertension medication upon awakening vs at bedtime. Comparison for any given class was done between patients ingesting the tested class of medication upon awakening—either alone or along with other medications ingested also on awakening, vs participants ingesting the same specified class of medication at bedtime. Significant benefit in terms of reduction of the risk of new-onset diabetes was observed for bedtime compared with awakening treatment with ARBs (HR 0.39 [0.22, 0.69]; p < 0.001), ACEIs (0.31 [0.12, 0.79], p = 0.015) and β-blockers (0.35 [0.14, 0.85], p = 0.021), but not for medications of the other three classes (CCBs, α-blockers and diuretics) of hypertension therapies (Fig. 4). The MAPEC study is the first, and thus far only, reported trial to assess prospectively the hypothesis that bedtime treatment with the entire daily dose of ≥1 hypertension medications exerts not only better BP control but better protection against new-onset diabetes than conventional therapy with all such medications ingested upon awakening. The results document, first, greater ABP control in hypertensive patients randomised to the bedtime-treatment group. The main differences between the bedtime vs morning-time treatment groups in terms of ABP control were achievement in the former of: (1) significantly lower asleep BP mean; and (2) greater sleep-time relative BP decline, without loss of awake BP-lowering efficacy (Table 2). The ingestion-time-dependent effects on asleep BP control were strongly associated with attenuated risk of new-onset diabetes. Indeed, in the MAPEC study the progressive decrease in the asleep BP mean during follow-up was the most significant predictor of reduced risk of new-onset diabetes, independent of other conventional variables associated with increased risk such as older age, larger waist circumference, elevated fasting glucose, and CKD diagnosis . As documented in a series of prospective controlled trials extensively reviewed elsewhere [7, 8], bedtime hypertension treatment is the most cost-effective and simplest strategy of successfully achieving the therapeutic goal of adequate asleep BP reduction and control. One could thus conclude that the significant 57% reduction in the risk of new-onset diabetes by ingestion of the entire daily dose of ≥1 BP-lowering medications at bedtime, compared with ingestion of all such medications upon-waking (Fig. 2), is linked to better achievement of this novel hypertension therapeutic goal through therapeutic targeting of the underlying biological mechanisms. 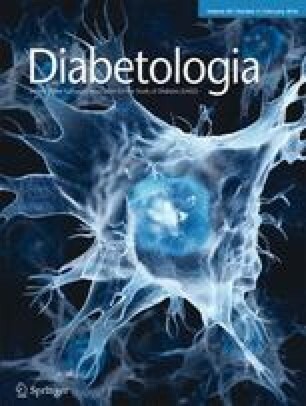 The total new-onset diabetes event-rate was somehow intermediate between that reported in the HOPE  and DREAM trials ; both of these trials had a lower follow-up than MAPEC, but in DREAM was restricted to patients with impaired fasting glucose and thus at higher risk for new-onset diabetes. The randomisation for this trial, independently done for each of the allowed choices of hypertension medications, and the so-far unique approach of systematic periodic (at least annual) patient evaluation by highly reproducible 48 h ABPM to guide required changes in therapy, allowed prospective comparative investigation of the influence of different classes of hypertension medications on the risk of new-onset diabetes. The findings summarised in Figs 3, 4 document significant differences in risk of new-onset diabetes between individual classes of hypertension medications when treatment-time is taken into consideration. The adjusted HR of new-onset diabetes across all six classes of the tested hypertension medications was equivalent in those patients randomised to ingest all of them as full daily doses upon awakening (Fig. 3a). However, among patients randomised to the bedtime regimen, ingestion of an ARB, ACEI or β-blocker was associated with significantly lower HR of new-onset diabetes compared with ingestion of any other class of medication also at bedtime. We wish to emphasise that nebivolol was the β-blocker most participants were treated with, in fact, the only one allowed for first randomisation among untreated patients. Nebivolol is a third generation, long acting β-blocker medication that exerts endothelium-dependent vasodilation through activation of the l-arginine/nitric oxide pathway, significant reduction of glucose and lipids in patients with diabetes , and regulatory effect on the RAAS . Accordingly, our findings might not be extrapolated to all β-blockers as a class, an issue that requires future investigation. With these considerations notwithstanding, the results depicted in Fig. 4 indicate that reduced risk of new-onset diabetes is significantly associated with RAAS blockade therapy ingested at bedtime. Since the RAAS activates during night-time sleep , the results also suggests, in keeping with the hypotheses for this trial, that bedtime, rather than upon awakening, RAAS inhibition or blockade and the corresponding potential improved control of impaired glucose and insulin tolerance might be among the factors associated with reduced risk of new-onset diabetes. Our study has some potential limitations. First, sample size of the single-centre MAPEC study is limited to evaluate the potential predictive value of different hypertension medications within each therapeutic class. Second, the reported findings require validation in other ethnic groups. Finally, the use of a PROBE design might also be considered a limitation; however, the PROBE design was specifically developed for the conduct of long-term outcome trials, though it is also frequently used for the conduct of short-term efficacy clinical studies in patients evaluated in a blinded manner by ABPM. The design of the MAPEC Study also has several strengths , mainly being the first trial yet to: (1) provide results based on systematic periodic, at least annual, multiple evaluations by ABPM and wrist actigraphy throughout the median 5.9 years of follow-up; (2) define hypertension as an inclusion criterion based solely on ABP measurements; (3) prescribe changes in therapeutic intervention during follow-up to improve control of ABP, instead of daytime clinic BP; and (4) randomise patients either to ingest all BP-lowering medications upon awakening or the complete daily dose of ≥1 of them at bedtime, thus according to the individualised rest/activity cycle that synchronises the documented predictable-in-time 24 h changes in RAAS activation and BP patterning . In conclusion, according to this prospective evaluation, in hypertensive patients without diabetes, ingestion of the entire daily dose of ≥1 BP-lowering medications at bedtime compared with ingestion of all such medications upon-awakening, results in significantly improved asleep ABP control and prevention of new-onset diabetes. Moreover, the safety of bedtime- and morning-treatment regimens was similar, a finding consistent with previous publications reporting bedtime compared with morning BP therapy significantly improves ABP reduction without any increase in adverse effects . Finally, antagonism of the RAAS by reduction of angiotensin II formation and blockade of its receptors achieved either by a bedtime ACEI or ARB ingestion strategy is superior to any other treatment strategy for reducing risk of new-onset diabetes. Future prospective intervention trials that incorporate periodic, annually or more frequent, ABPM assessments during long-term follow-up evaluation, as done in the MAPEC study and the currently ongoing multicentre Hygia project [38, 39], are necessary to confirm the reduced risk of new-onset diabetes by bedtime hypertension chronotherapy.